The DeSoto Beach Hotel was named for the first European to explore the South; the very name is synonymous with the search for untold riches. 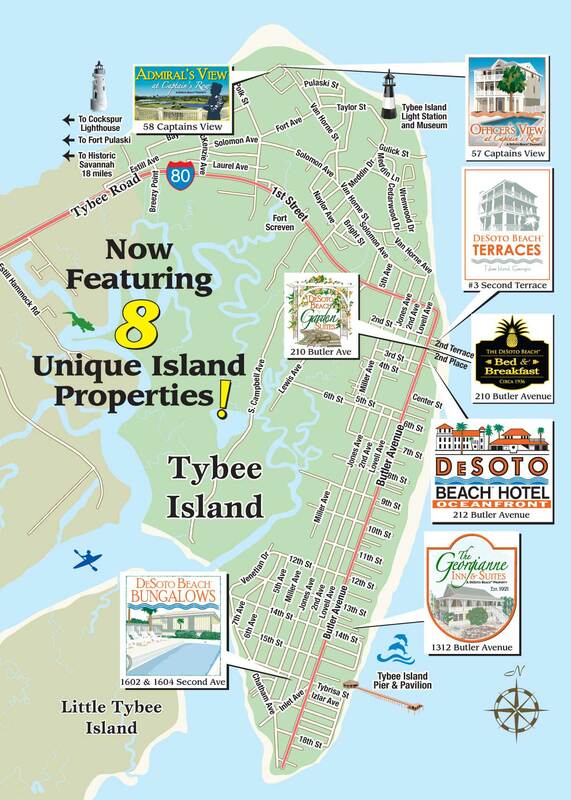 The name had proved prescient; you don’t have to dig deep into the DeSoto’s past to find gems about the history of Tybee Island and the world around it. Back in 1939 when it was built, guests of the original Hotel DeSoto Beach Club were swathed in luxury. Waiters in black bowties shuttled about with cool refreshments atop silver trays for the elite clientele in from Savannah and beyond while rich terracotta floors were kept eternally spotless by a vigilant army of busboys in tuxedo shirts. The hotel was truly one of the poshest spots in the South, if not the whole country. In those first days, the Beach Club was accessible only to guests of the Hotel DeSoto in Savannah. The Hotel and the Beach Club, as well as the General Oglethorpe Hotel on nearby Wilmington Island, were built, owned and operated by J.B. Pound. Pound was a local hotel magnate who used the favorable labor market conditions of the Great Depression to create not only the most beautiful, modern hotel possible with the most attentive service, but also many jobs. Many locals who could never afford to stay in such a place were nevertheless able to make a living building and staffing it. Two design influences inspired Pound’s vision for the Beach Club: Georgia’s Spanish past, and the sea. Hernando DeSoto, the hotel’s conquistador namesake, was the first European to explore Georgia. The Southern coast saw a revived interest in architectural elements from the days of old Spanish Florida. Combining those themes with a gentle nautical influence, the old DeSoto Beach Club was a uniquely beautiful structure. Even the outbreak of war in Europe never made Pound take his sights off making the grandest hotel possible.